The idea for the Lillian M. Hudspeth Memorial Hospital was conceived in the mind of Roy H. Hudspeth, Sutton County rancher, as a tribute to his wife, Lillian Maddox Hudspeth, who had died in 1946. In 1947, he offered to supply half the funds for a hospital, if the citizens of Sutton County would contribute the other half. The community had long felt the need for a hospital and eagerly accepted his offer. Plans got under way for what would turn out to be a $500,000 facility. Roy Hudspeth died in 1948, after the hospital was incorporated, but before construction had begun. In addition to his initial donation, in his will he left a 20 section ranch as an endowment for the hospital. On July 1, 1951, the two story LILLIAN M. HUDSPETH MEMORIAL HOSPITAL opened its doors. Over the years, the hospital served the community well. In September of 1970, a one story 39 bed Nursing Home was added to the original building. An active Women's Auxiliary furnished many amenities for hospital patients and nursing home residents. But times changed. After the deaths of the two family doctors who had presided over the hospital for so many years, it became almost impossible to recruit young physicians to this rural area. When they did come, they did not want to deliver babies. For financial and medical-legal reasons it was impractical for surgeons and anesthesiologists to continue to come from San Angelo to perform operations in the Hudspeth surgery. The production of oral anti-biotics did away with the necessity of hospitalization for round-the- clock injections, and government regulations mandated the length of time a patient could stay in the hospital. The patient count dwindled to almost nothing. Hudspeth Hospital, never a for profit institution, had been able to survive with the income from the ranch, but over the years a deficit accumulated. In 1986, the hospital was $650,000 in debt and the ranch had exhausted its borrowing power. Some action had to be taken. There were two options; close the hospital, or create a Hospital District, which would have the power to tax. A number of persons clamored for a third option; sell the ranch. This, however, was never really an option because it would only postpone the inevitable. The sale of the ranch would pay off the current debt and provide operating capital for a few years. When that money was exhausted, the original two options would again have to be faced. Most of the population were opposed to having taxes raised, but neither did they want Sutton County left without primary care. At the polls they voted overwhelmingly for a Hospital District which added 10 cents per $100 evaluation to their taxes. Since 1986, the board of the Hospital District has returned twice to the Texas Legislature to increase the tax cap, which now stands at 75 cents per $100. 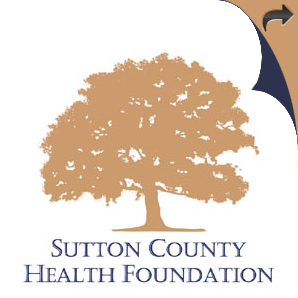 The board of directors of the newly created Sutton County Hospital District took over the management of Hudspeth Hospital. The trustees of the original Hudspeth Hospital Corporation, known as the Corporate Board, who had previously operated the hospital, no longer had a hospital to operate. These trustees then petitioned the Attorney General of the State of Texas to make a ruling as to the disposition of the trust's assets, i.e., the ranch. By agreement between the Attorney General and the Corporate Board, a declaratory judgement was rendered by the District Court. In essence, the judgement allowed the Corporate Board to retain the ranch, with all income, other than that necessary to maintain the ranch, to be applied against the debt. After the debt was retired, the income was to be used for capital improvements to the hospital and necessary, unexpected expenses. In 2001, faced with a aging physical plant, the Board of Directors began to develop the plans to replace the hospital with a new state-of-the-art hospital. Plans were to complete the construction of the facilities without increasing taxes or incurring debt. In early 2004 through operational capital, grant funds and assistance from the Hudspeth Ranch. Construction began on the new 5.2 million dollar acute hospital and wellness center. Construction was complete in summer of 2005 and patients and staff moved into the new facility with amenities and technology never before available in Sonora. The new facility included complete digital imaging, multi-slice helical scanner, ultrasound and PACS. The laboratory was tripled in size and included state-of-the-science analyzers. The emergency department has five beds with bed-side monitoring connected through a wireless telemetry system that also monitors the twelve private acute-care beds. In addition to the acute hospital, The Health and Wellness Center opened. The Health and Wellness Center includes fitness facilities, in-door swimming pool, aerobic facilities and member showers and locker facilities. In addition to the fitness areas, the Center includes a physical therapy department with dedicated wound care and a cardiac and pulmonary rehab department. 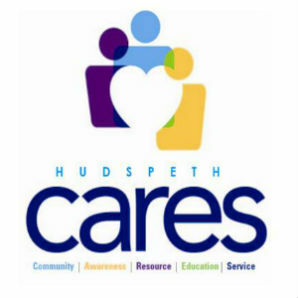 Hudspeth Hospital continues to serve the community after six decades and continues to advance the mission and vision by installing complete electronic health records in 2006 and completed three residential properties for professional recruitment and purchasing eight apartments in 2008 and 2009. These properties bring the total housing opportunity for recruiting to thirteen. Construction of a 6.2 million dollar 8200 sq/ft facility to house MRI, GI lab/procedure space and mammogram was completed in October 2010. The Diagnostic Center provides for specialty clinics including cardiolgy, neurosurgical, nephrology and orthopedics. The facility includes womens imaging and a GI suite. Womens imaging suites includes digital mammography, ultrasound and breast capable MRI. October 1, 2010 the hospital implemented Specialist on Call(SOC). SOC provides teleneurology services to support Sonora attending physicians in treating patients with stroke. This service coupled with the 64 slice helical CT scanner allows for early intervention and the use of clot buster drugs in reversing or limiting the effects of stroke. In August 2011 the Sutton County EMS transitioned from a mostly volunteer service to a full time advanced life support service. The partnership between Sutton County and The Hospital District allows for this leap in EMS service. The operations will be managed by the Hospital District and both 911 and non-emergency transportion is available. In 2012 two new programs were added to our every growing service line. In April Sports Medicine was added to our rehabilitiation services. Two atletic trainers provide care and prevention to the Sonora ISD and surrounding county schools. This program integrates the local medical staff, visiting orthopedic surgeons, Wellness Center and the physicial therapy staff to reduce and minimize athletic injuries. In addition to school activities the staff are available for consultation to weekend warriors as well. On August 1, 2012, the Sutton County EMS, Hospital and Sonora Medical Clinic began offering services through the Community Paramedic Program. The Community Paramedic Programs offers services to our patient in their home that range from safety and preventive services to health monitoring and medication reconcilliation. These services are provided free to the community and utilize the EMS personnel through a multidiciplinary quality program. The goal of the program is to improve compliance with health issues like diabetes and heart disease and to prevent falls, unneccessary emergency visits and readmissions. Administration and staff continue to plan the future by providing the latest medical technology to the citizens and travelers in this region of Texas.